Cost of housing is on the rise. In many major cities of Malaysia like Kuala Lumpur, Johor Bahru, Ipoh and Malacca cost of building a single family house is at an all time high. Should this prevent you from building a peaceful dwelling for you and your family? Certainly not! 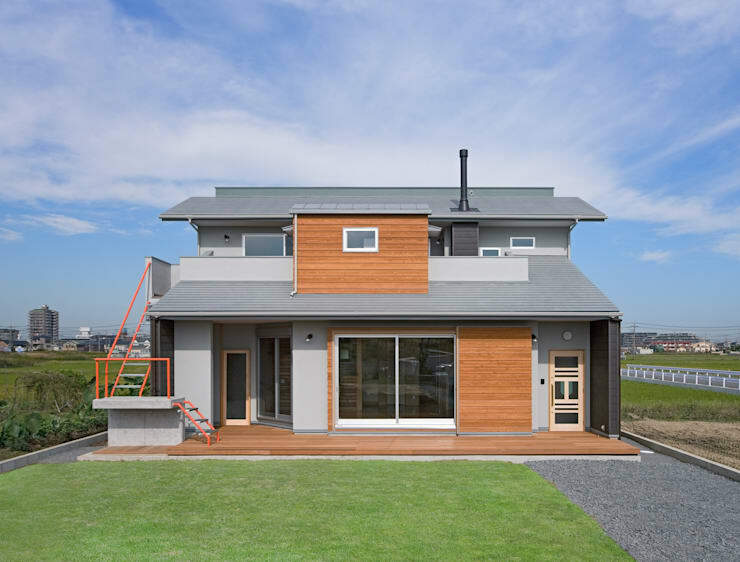 Take cues from the following architectural projects and build a super affordable family home. This one story house could be your answer to a dream home. It is located on its own ground and surrounded by a small but beautiful garden. The design is simple but highly attractive and comfortable for those who would inhabit it. 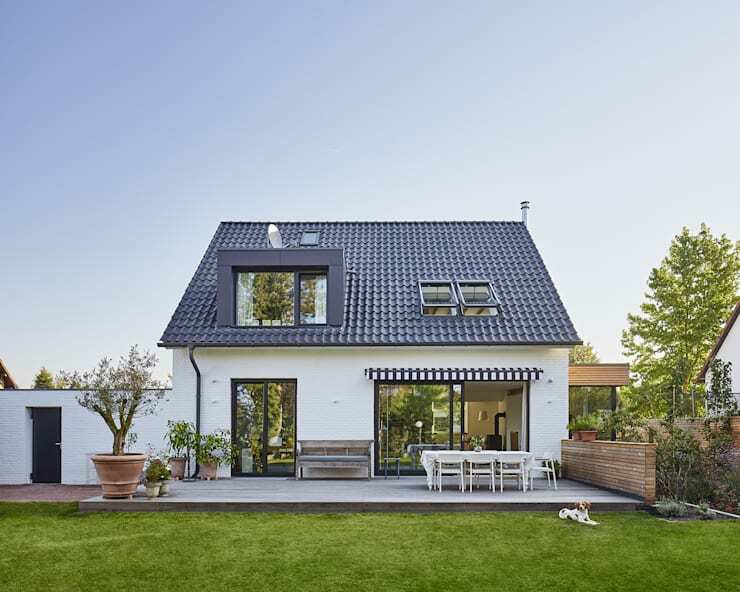 Its white façade combined with grey gable roofing system is contrasted with a spacious wooden deck. An outdoor living area has been designed on the deck. Learn more about designing a relaxing terrace from here. The next house on our list is suitable for those seeking affordable options to build a house. 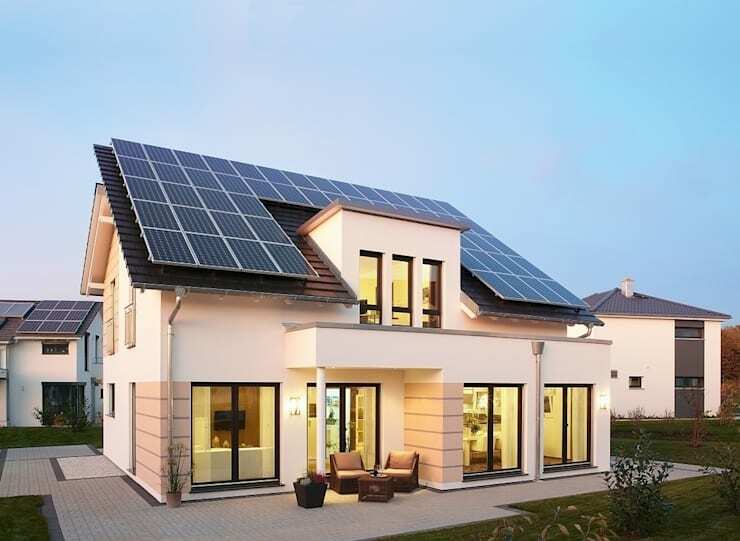 Moreover, its energy efficient structure and eco-friendliness ensure there is minimum cost in maintaining the house and the comfort of the interiors. The two story building is painted with creamy white and beige tones. Several sliding doors and large windows help maintain a direct connection with the surrounding garden. Who would not like to live in an idyllic location such as this? The architect has tried to keep the design as simple as possible and not to overwhelm its surrounding beauty. The single story building is designed with pitched roof. Its façade is decked up with wood. A small garden beautifies its front yard. This house could also be your holiday retreat or a retirement home for the future. Henry David Thoreau said, We can never have enough of nature. We must be refreshed by the sight of inexhaustible vigour… In the design of this house we hear an echo of his words. 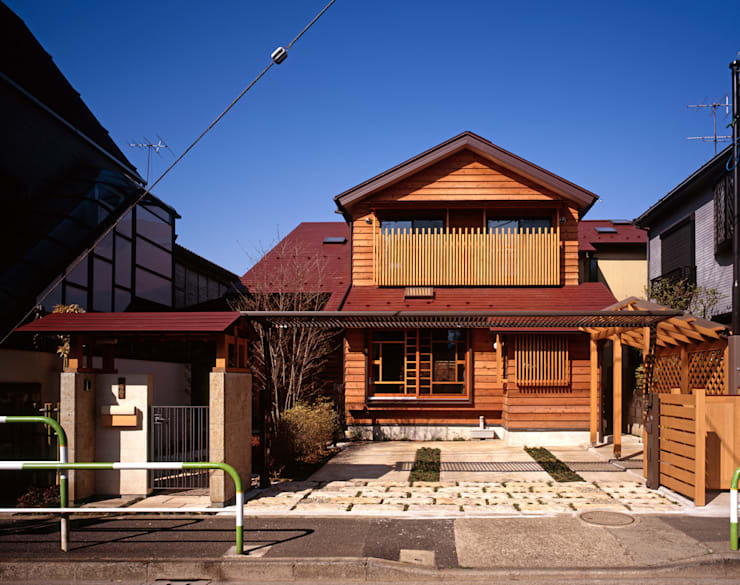 The façade of this two story house is made prominent by a moderately dark grey tone. It is accented with natural wood. A wooden deck acts as the meeting point between the house and the front yard. The façade is also studded with doors and windows with varying shapes and sizes. The design of the house is modern and just perfect for a small family. 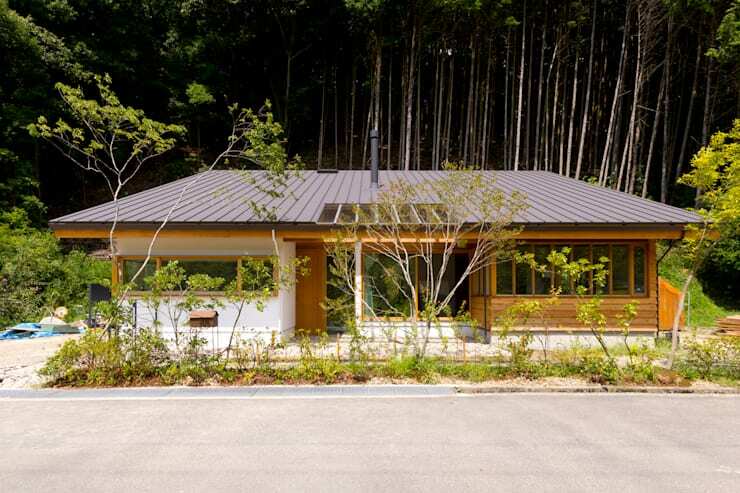 The design of this house looks rather special due to its wood clad exterior walls. Its red roof gives the house an even prettier makeover. It is decorated with a small balcony on the first floor. A small garden on the front yard is preceded by a spacious carport. The house is compact and perfectly suitable as a single family home. We leave you with the view of this sun kissed cottage in an idyllic setting. Its elegant design looks attractive enough. A spacious patio, decorated as an outdoor living area, surrounds the building from two sides. Glass windows, skylight installations and doors help to keep the interiors warm and sunny in the daytime. Extended height of the ceiling makes the interior feel spacious and more comfortable. Don't miss out on these beautiful family home designs. Which of these family dwellings did you find most interesting?